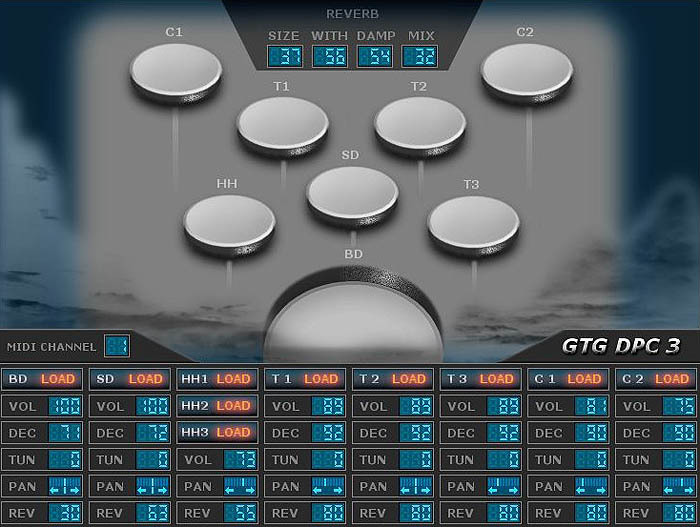 GTG DPC 3 is a free vst drum sampler. In the world of making computer music and electronic music, a music producer cannot escape from the use of vst plugins. There are a bunch of free vst plugins available in the internet. If you happen to make an electronic music and you need drum sampler because you don’t want to record your own drum manually, use drum sampler instead and you don’t need to buy one as there is GTG DPC 3 which is a free vst drum sampler. GTG DPC 3 free vst drum sampler is available only in windows version. The followings are the features of this GTG DPC 3: free vst drum sampler.